If you haven’t considered upgrading your vacation rental home’s security, then now is the right time to give it some serious thought. Your rental vacation home in Orlando shouldn’t only make guests comfortable and at ease – it should also make them feel safe while they are there. If you don’t have a good security plan in place, there’s a good chance you will not only lose prospective guests, but you’ll also put your property at risk. To prevent this from happening, use this list of security options for rental vacation homes in Orlando & Windermere. 1. Acquaint yourself with your neighbors. If you’re not using a local property manager who is regularly checking on the property, you’ll have to depend on your neighbors to let you know if someone is prying on your property when it’s supposed to be empty. Make them aware of your rental schedule, and let them know that it’s okay to call the police or local authorities in the case of an emergency. 2. Don’t leave your curtains open when your rental home is empty. For single-family rental vacation homes in Orlando, leaving your curtains up when nobody is home can be an open invitation for burglars. It not only gives intruders a clear view of what’s inside, but it can also give them an opportunity to study the best ways to move around the house. While guests pay for their stay in your property, they are still obliged to follow your rules. Provide clear security instructions, and when doing so make sure not to overdo it so you won’t cause your guests unnecessary panic or worry. 4. Install smart lights in your rental vacation home in Orlando & Windermere. Smart lights installed near the front and back doors will help improve the visibility in these areas. You can program them to turn on and off during specific hours to help you save on your electricity bill. 5. Add an alarm security system. Installing a security system for your property can severely decrease your chances of falling victim to burglary. And although an alarm system can help keep your home safe, your guests may not always see it the same way. Go out of your way to let them know that the extra security is for their own good and not an intrusion of their privacy. Even with the best home security, guests may still feel uncomfortable walking around the house knowing that someone could be watching them. Noticeable security devices may likewise trigger the impression that your home or neighborhood isn’t safe enough. 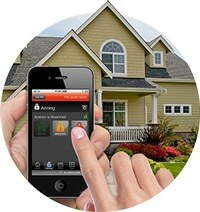 Communicate with your guests to inform them of the security devices in your home. 6. Consider purchasing and installing a surveillance camera. To avoid making guests uncomfortable, most vacation rental homeowners install security cameras outdoors to provide home protection without compromising guest privacy. And because most surveillance cameras today can be controlled remotely, you can conveniently adjust your camera setting depending on your needs. 7. Purchase a smart lock. Smart locks are a great addition to any rental vacation home in Orlando & Windermere. Because this type of lock provides keyless entry, you’ll be able to monitor who goes in your home and when. It’s also convenient because you can choose to give guests permanent or temporary access. If you need help securing your rental vacation home in Orlando & Windermere, we can help! Call our office today to schedule an appointment to meet with one of our experienced security professionals.